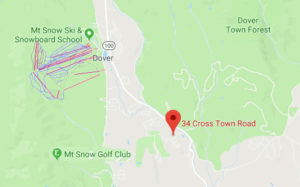 Basecamp @ Mount Snow is located less than 1/2 mile from the Mount Snow Golf Course and is an ideal location for a golf weekend in the Deerfield Valley. Basecamp sleeps 10 people comfortably. (6 adults max) with 3 levels of living space. Located on the Valley Trail that connects West Dover to Wilmington. 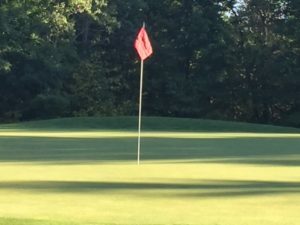 The Mount Snow Golf Club has matured into one of Vermont’s premier mountain courses and has been rated one of the top five in the state by Golf Digest. Designed by New England course architect Geoffrey Cornish, our 18-hole championship course has also been named one of the top 10 resort courses in the country by SKI Magazine. The course meanders through spectacular Vermont countryside and provides stunning views of the Green Mountains, including the peaks of Mount Snow and Haystack. Picture tamaracks, oaks, birches and sugar maples lining fairways while the mountains provide a majestic backdrop. The front nine is spread over scenic expanses and the back nine winds its way through wooded terrain. Water comes into play on 11 holes and 41 sand traps are strategically located around nearly every hole. The course sits 2,000 feet above sea level. More info.